Obituary for Harold Reynolds Gordon, Jr. | Robert A. 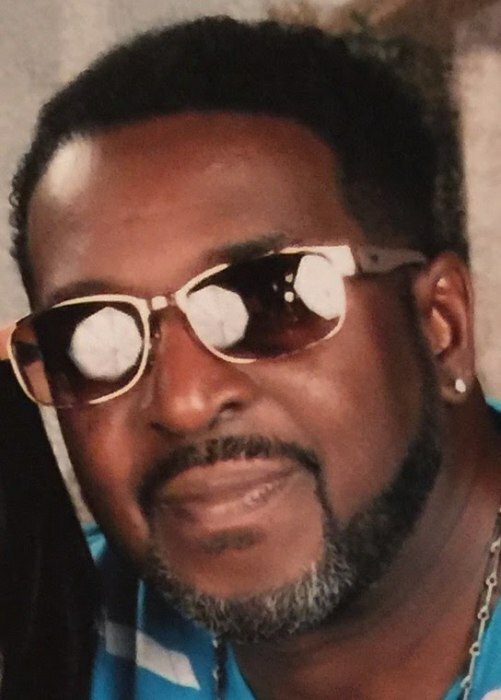 Waters Funeral Home, Inc.
Harold Reynolds "Boo" Gordon, Jr., 60, of McKeesport, Pennsylvania, peacefully departed this life on Thursday, March 14, 2019, in the VA Pittsburgh Healthcare System University Drive Campus. He was born July 1, 1958, in Homestead, Pennsylvania, He was the son of the late Marjorie West Gordon and Harold Gordon Sr. who survives. He is preceded in death by his sister, Martha Pinkston. Harold attended the Baldwin School District. He was a proud United States Navy veteran. He was employed as a welder with Tygart Steel located in McKeesport. He loved and enjoyed hunting, fishing, traveling, playing Bid Whist and listening to Al Green. He leaves to cherish his memory his wife Jerry D. Gordon of McKeesport; two daughters, Brandy (Mike) Boyd Carrick, PA and Page Gordon Carnegie, PA; step-son, Brandon Dudley of McKeesport; four grandchildren Jaqwon ,Janiya Parker, Makiya, and Jaionna Boyd of Carrick PA; two brothers, Kelly Gordon of Sherman Oaks,CA and Jason (Ronnie) Gordon of Texas; his favorite aunt Janice of Plano TX, a host of nieces, nephews, cousins, and loving friends. Friends will be received Thursday, March 21, 2019, from 4:00 pm - 8:00 pm at Macedonia Baptist Church, 17 Cochran Street, Duquesne, Pennsylvania 15110 where services will be held on Friday, March 22, 2019, at 11:00 am with Rev. Archie D. Perrin, Jr. officiating. Interment will follow at McKeesport and Versailles Cemetery, McKeesport, Pennsylvania.